【PERFECT GIFTS FOR MEN WHO HAVE EVERYTHING】: This gift set comes packed in a luxury premium gift box. 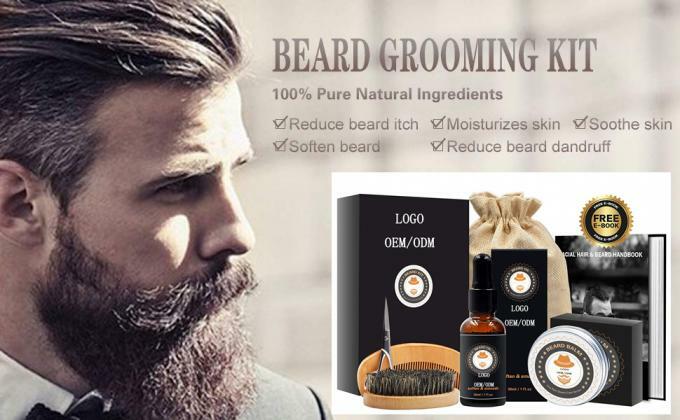 Can easily make up a great mens gifts ideas, Christmas gift for a beard friend, colleague, Dad, husband,grandpa that could use some beard care products to tame up his beard and mustache! 【BEARD CARE BALM】: Similar to bearded oil, bearded balm conditions your facial hair for a softer, more lustrous mug rug. The difference lies in the balm’s beeswax component, which results in a fuller, shapeable beard. 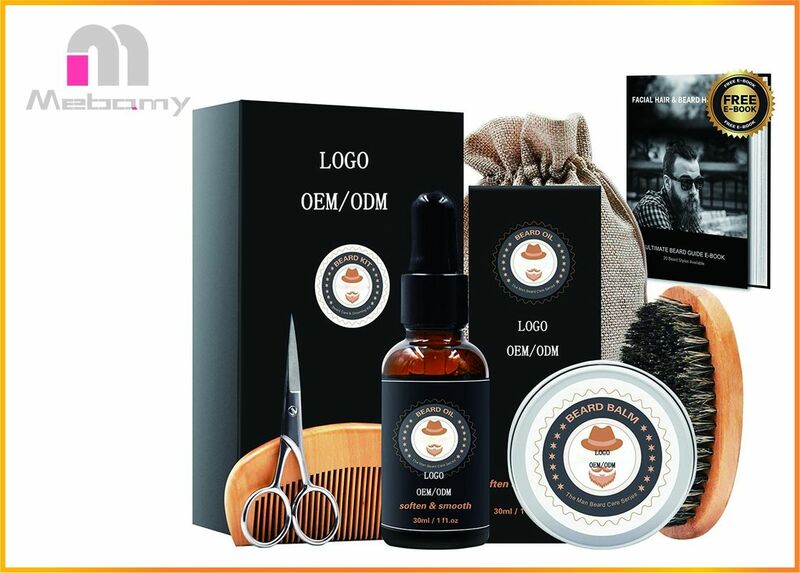 Give the gift of luxurious beard grooming with this shaving set from us. This beard grooming kit features five products to help keep all types of beard well maintained and polished. 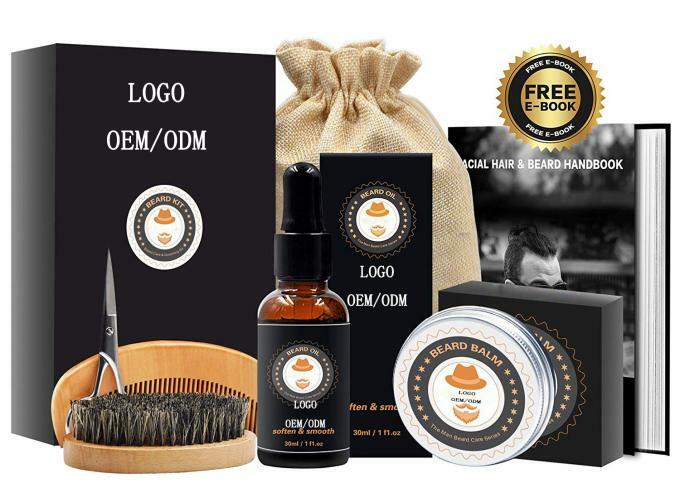 It includes a beard conditioner balm, a revitalizing beard conditioner oil, a beard brush, a beard comb and mustache scissors. All of these beard grooming products work together to create skin and beards that are moisturized and immaculately kept. This beard grooming gift set is perfect for any bearded person in your life - it makes a great stocking stuffer or a fun pre-Christmas gift to make sure they're looking dapper for holiday gatherings. Accelerate your journey to ultimate manhood Main ingredients: (1 fl.oz / 30ml): Melaleuca alternifolia(tea tree)leaf oil, Vitis vinifera(grape) seed oil, Simmondsia chinensis(jojoba) seed oil, Hydrogenated sweet almond oil, Tocopherol, Aloe andongensis leaf juice, Citrus aurantium dulcis (orange) oil. Help to hold your beard styling, and give you the gentleman's blend scent for a more manly scent. Main ingredients: (1 fl.oz / 30ml): Cera Alba Beeswax, Butyrospermum Parkii, Vitis Vinifera Seed Oil, Coconut Oil, Argania Spinosa Kernal Oil, Simmondsia Chinensis Seed Oil, Cedrus atlantica Oil, d- Alpa Tocopherol, Rosmarinus Oflicanalis Leaf Extract, Lavandula Officinalis Oil, Melaleuca Alternifolia Oil, Rosmarinus Officinalis Oil, Sweet Orange Oil. The handmade wooden+boar bristle brush, well-crafted,bristle does not shed easily.Ideal for use with dry beard balms,hair pomades & traditional beard oil and conditioner. HANDMADE WOODEN COMB Anti-static,snag free and soft hand feeling,it can easily get through your hair or beard without causing snagging or hair pulling. STYLING STAINLESS SCISSORS Sharp blades heavy duty made for trimming and shaping beards and mustaches.